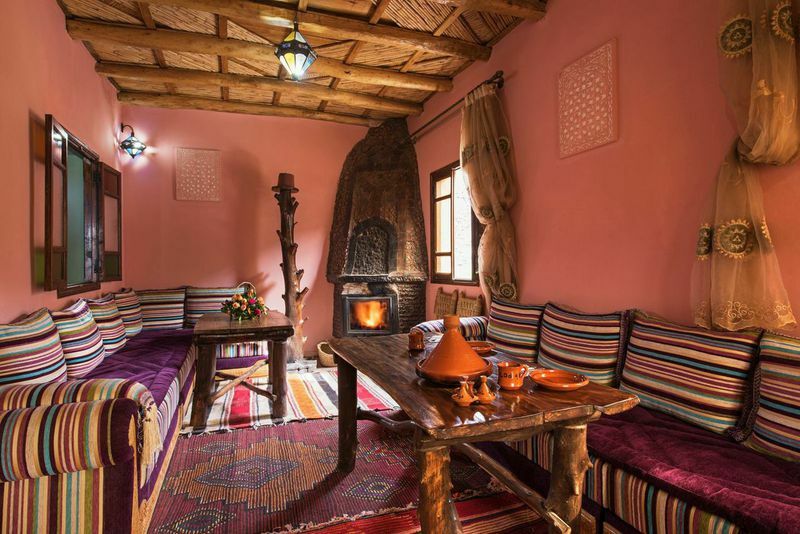 Imlil Lodge - Luxury Riad in Marrakech, Morocco. 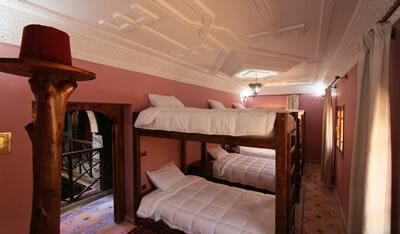 Book Imlil Lodge Today with Hip Marrakech - specialists in English Speaking Accommodation in Marrakesh, Morocco. "A welcoming and relaxing atmosphere resonates throughout..."
5 Standard en-suite rooms alongside a 6-bed en-suite dorm. 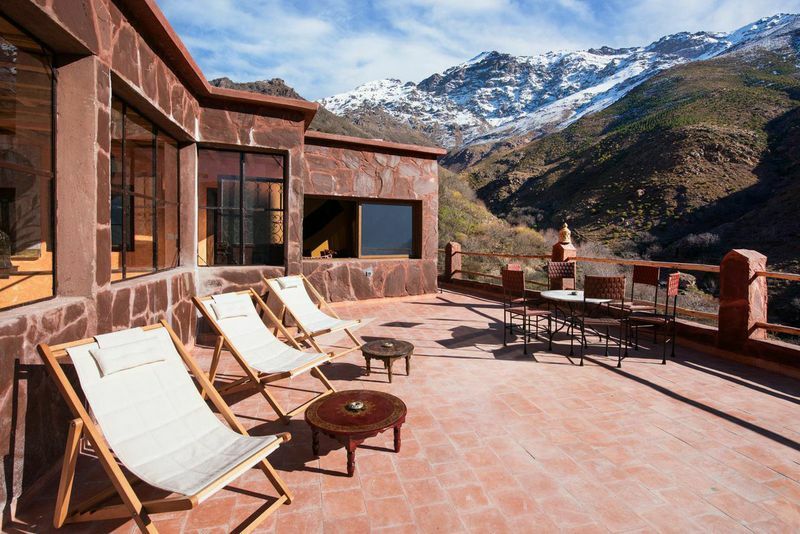 Located on the outskirts of the High Atlas village Imlil in The Toubkal National Park, Imlil lodge offers the perfect base from which to explore the rural Moroccan landscape. 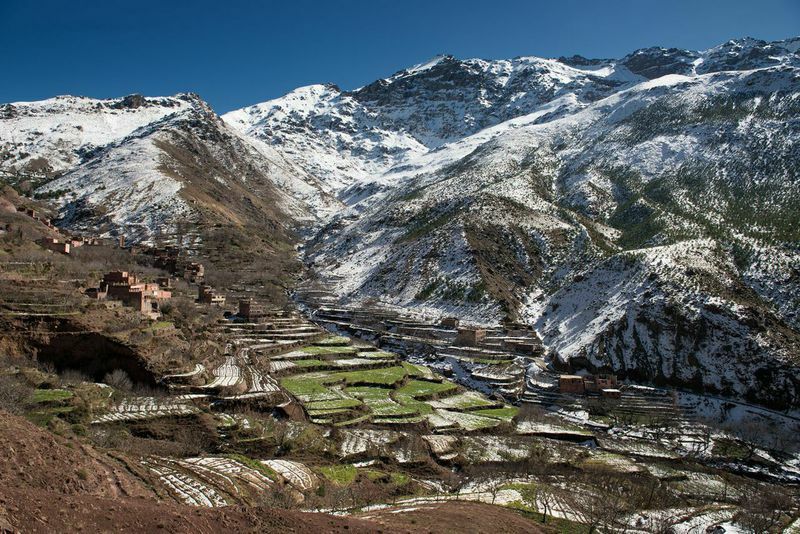 The Toubkal National Park itself boasts stunning scenery and a truly varied landscape that is home to beautiful hills, tiny hamlets and villages of the ethnic Berbers, gushing river streams, cascading waterfalls and varied vegetation from juniper forests to pine trees to walnut groves. Indeed, with unrivalled local knowledge and English speaking guides on hand daily, the Imlil Lodge is fully prepared for your visit and your enjoyment of the surrounding area. 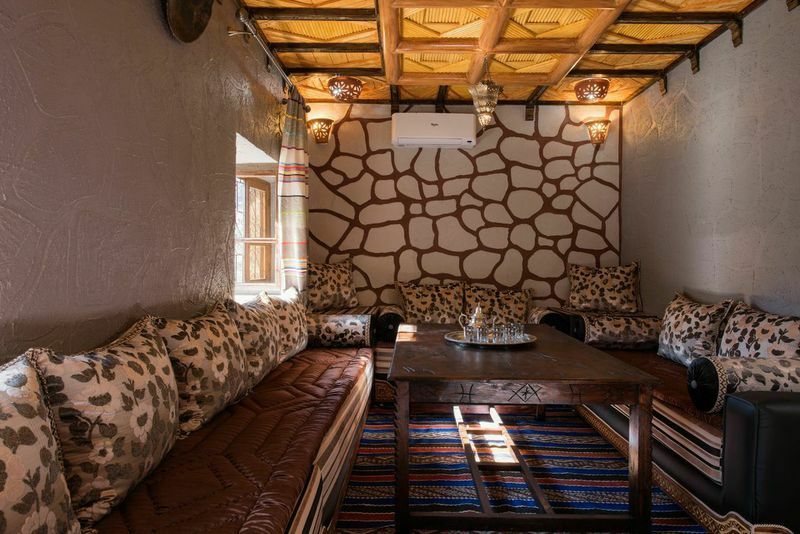 The Imlil Lodge is designed in a way that perfectly blends traditional Berber design with modern features and fixtures: all bedrooms are fitted with en-suite bathrooms and reversible air condition for your comfort and privacy. Indeed, a welcoming and relaxing atmosphere resonates throughout this great family run guesthouse. 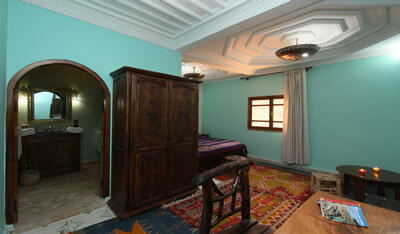 The accommodation houses both a Berber Salon and a Moroccan Salon, both of which come with complementary WiFi. These salons perfect for enjoying enjoy breakfast, a traditional mint tea or an evening meal after a days exploring in The Atlas Mountains. Both salons at are open for all guests to experience the family environment and Berber hospitality. Furthermore, the open fireplace is also a welcome addition for those cosy winter evenings. 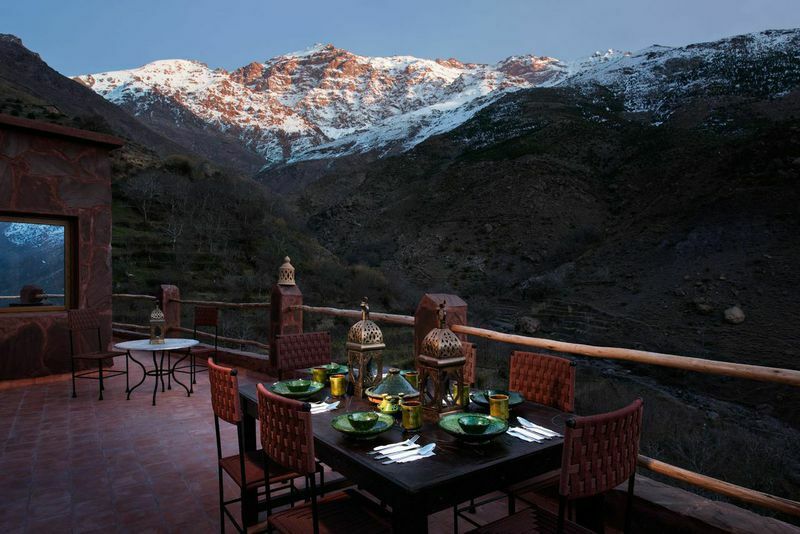 Alternatively, in the summer months your traditional Berber breakfast, lunch and evening meal can be enjoyed on the lodge’s rooftop terrace with magnificent views of the surrounding apple and almond orchards, the Toubkal National Park and beyond. Double or Twin room, with extra bed available on request. All of the Standard Suites at is designed in a restful and peaceful atmosphere with a private en-suite bathroom attached for your comfort and privacy. Each is named after a unique feature of the local landscape and designed in the traditional Berber style. Some of the rooms can be configured as one large double bed or two single beds, depending on your needs. Room features: Reversible air-conditioning, en-suite bathroom with shower. This dorm style room accommodates up to 6 travellers and offers the perfect solution for a travelling group of friends or larger family. It can be booked as a whole room or, alternatively, it is also possible to book an individual bed as part of the whole room. It comes complete with a private en-suite bathroom attached for your comfort and privacy. 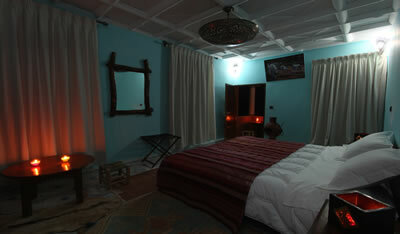 Room features: Reversible air-conditioning, en-suite bathroom with shower, toilet’s etc. 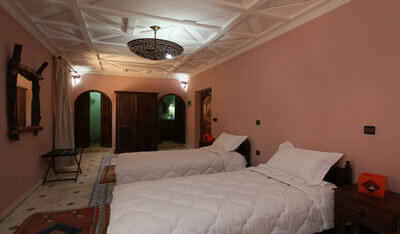 The Ouanoukrim Suite can be configured as a Double bed room or a twin bed (2 single beds) room, according to your needs. The room accommodates 2 people and a cot for a Baby can also be added to accommodate your family. All of the suites at Imlil lodge include breakfast served each morning. The Ouanoukrim suite includes a private balcony so that you can enjoy the restful and relaxing views of the surrounding villages and The atlas Mountains. The base rate price at Imlil Lodge is in pounds, euros, or Moroccan dirhams and exchange rates are approximate. Breakfast: A fresh breakfast is offered every morning in the cost of the room. Breakfast is varied on a daily basis to keep it interesting. Dining on the Terrace: In the summer months, meals can be enjoyed on our rooftop terrace with a magnificent view of the surrounding Atlas mountains and rural Morocco. During winter months breakfast, meals and other refreshments are served inside the Riad. Imlil lodge offers the perfect base from which to explore the rural Moroccan landscape. Indeed, with unrivalled local knowledge and English speaking guides on hand daily, the Imlil Lodge is fully prepared for your visit and your enjoyment of the surrounding area. 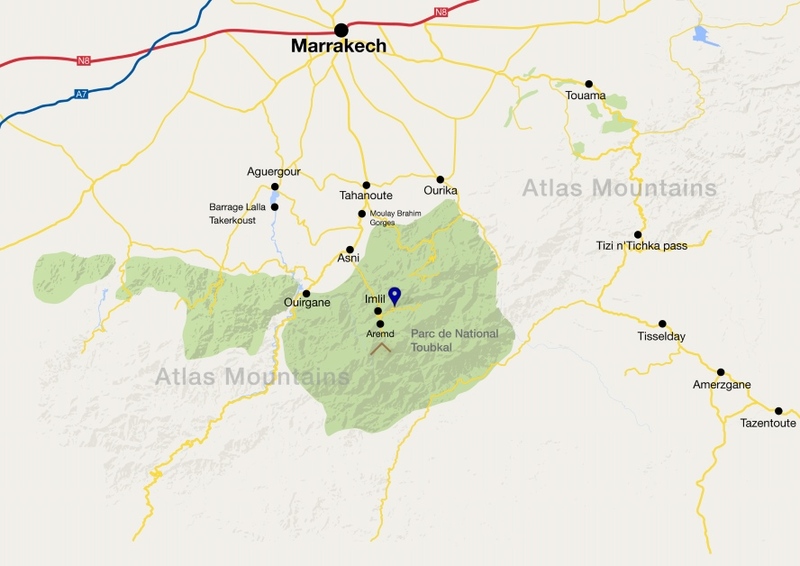 The Toubkal National Park itself boasts stunning scenery and a truly varied landscape that is home to beautiful hills, tiny hamlets and villages of the ethnic Berbers, gushing river streams, cascading waterfalls and varied vegetation from juniper forests to pine trees to walnut groves. At Imlil Lodge, you can see it all!! "Great Base for Trekking! Stayed here at the start and end of a 3 day trek in the High Atlas. Excellent food (both breakfast and dinner) and a wonderful setting. It's slightly further out of Imlil up the hill as you leave the village (probably takes about 15/20 minutes to get into the village) but being a little away from the main street (such as it is) makes for fantastic views over the valley and mountains. Our room was on the roof terrace - basic but a wonderful experience." "The service was excellent and Jamal - the owner - was so helpful and had a very good understanding of our needs and wishes. The rooms are beautiful with stunning views to Imlil and the mountains. We highly recommend the place." "Our team stopped in Imlil Lodge before setting off on a trek round the Atlas Mountains with Peak Mountaineering. The lodge is in a superb location to begin that particular adventure and Jamal and his team have a great environment at the lodge for us. The food was of a good quality, the rooms had everything we required for our brief stay in Imlil and the staff themselves could not have been more helpful." "Great owner, very accommodating. very friendly. Rooms are very comfortable. Superb views. Family of five we stayed for three nights. faultless. Very relaxing, felt 100% safe, we never locked our rooms." The Imlil lodge is nestled on the outskirts of the High Atlas village Imlil in The Toubkal National Park, just under 2 hours drive from Marrakech. Best Price Guaranteed! All prices match or are lower than those charged directly by Imlil Lodge. We can check availability at Imlil Lodge for you, process your booking and assist you in finding alternative dates and accommodation if your first choice is already taken. 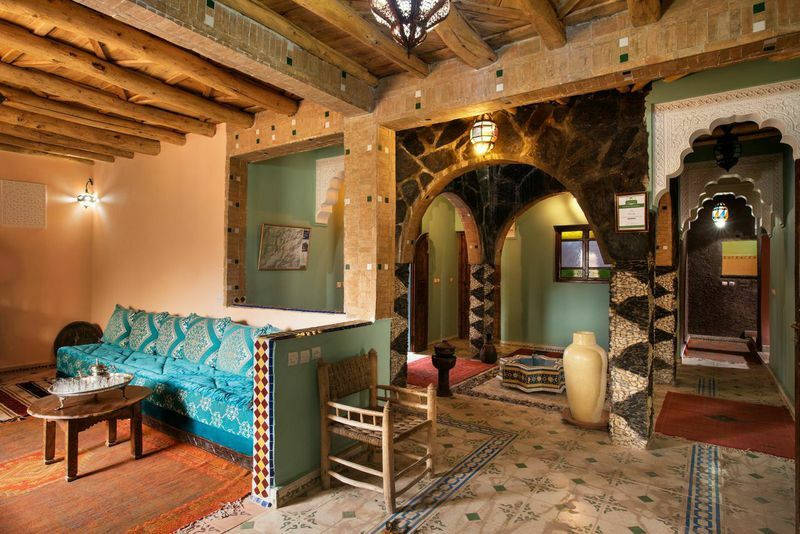 Every member of our team has expert knowledge of each riad including Imlil Lodge and can provide more information about the rooms, the location and how well suited it is to your specific requirements.